Hi guys! 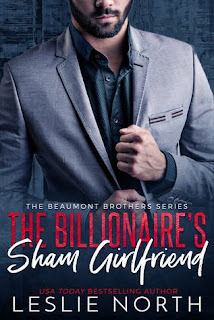 As you can see, today I am participating in a blog tour hosted by Xpresso Book Tours for the book, The Billionaire's Sham Girlfriend. I signed up for this blog tour on a whim and I am really excited to see what happens. The writing was okay. Sometimes there would be a lot of detail and in other times there would a small amount. I did, however, find that the writing does draw the reader in. I also enjoyed the dialogue, both internal and external, because it was realistic and interesting. However, there was not a lot of dialogue due to the length of the book. This book has so much potential. It could definitely have been fleshed out and more developed. I felt as if we were presented with the bare bones of the book and that there was a lot missing. What we were given was weak points in a plot that needed more background information. Everything happened too fast and too unnaturally for my taste. The characters seemed like they would be interesting. However, we only got small glimpses of their main characteristics. In the beginning, it was clear to see that Gregor would be witty and fun but in the shortness of the novel, it got lost. Kara seemed like a steadfast and independent character but that never got fleshed out. Overall, I was disappointed by this book. It was too short and lacked depth in the writing, plot and characters. However, with that being said, there is so much potential with this book. The plot is enticing and calls for more adventures that might seem ridiculous but pull the reader in. 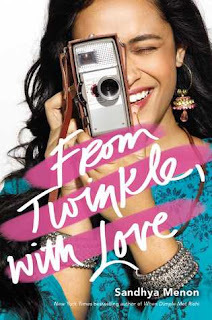 The characters set up the impression that it is going to fun and witty. Thank you so much to Xpresso Book Tours for providing me with a copy of this book!